“Paris Was a Woman” has been reissued by Counterpoint Press. Profusely illustrated and painstakingly researched, this book is an enlightening account of women who between wars found their self and their voice in Paris. 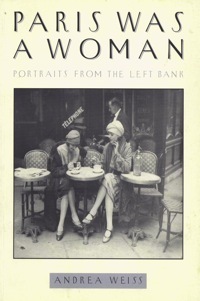 Though mostly concerned with the stories of lesbian or bisexual women such as Colette, Gertrude Stein, Alice Toklas, Sylvia Beach, Djuna Barnes and Natalie Barney who came to the City of Light attracted by an aura of unbridled freedom, this book will appeal to all those who are interested in this fascinating early period of the twentieth century as well. Counterpoint Press, 2013. Pandora Press UK and Harper San Francisco USA, 1995. 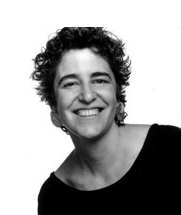 Winner of the 1996 Lambda Book Award (“the Lammies”). Paris Was a Woman is an illustrated collective portrait of the unique community of women who became known as the ‘women of the Left Bank’. Authors Colette, Djuna Barnes and Gertrude Stein, poets H.D. and Natalie Clifford Barney, painters Romaine Brooks and Marie Laurencin, editors Bryher, Alice Toklas, Margaret Anderson and Jane Heap, photographers Berenice Abbott and Gisele Freund, booksellers Sylvia Beach and Adrienne Monnier, and journalist Janet Flanner all figured in this legendary milieu. 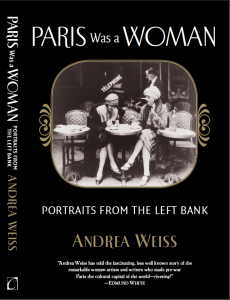 A wealth of photographs, paintings, drawings, and literary fragments, many previously unpublished, combine with Andrea Weiss’s lively and revealing text to give an unparalleled insight into this extraordinary network of women for whom Paris was neither mistress nor muse, but a different kind of woman. Also available in Spanish, German, Swedish, Korean, Japanese, and Croatian!